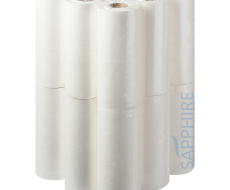 Sapphire 3 ply Couch Rolls provide for customers who need a stronger, more absorbent solution. 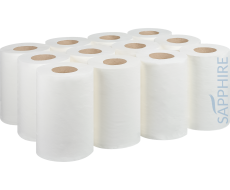 Manufactured by Fourstones using premium virgin tissue and following CHSA guidelines, quality rolls are assured. 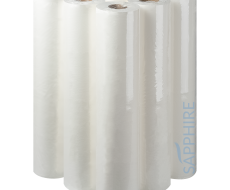 Our perforations are easy to tear by hand, but very strong whilst in use. 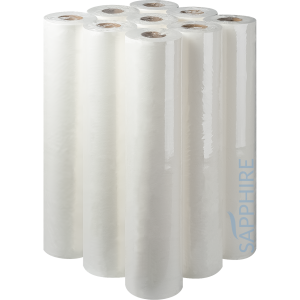 Our 3 ply rolls come in both (couch) 40m x 250mm and (hygiene) 40m x 500mm.